Guarneri violin - Stradivarius' Rival? Other than the famous Stradivarius violin, there is another violin that catches the eye and heart of many violinists – the Guarneri Violin. Some said its the Guarneri violin is one of its kind, while some argued it’s a second class to the Strad. Hmmm, maybe we can come to a conclusion after finding out more about the Guarneri violin, and its maker! Andrea Guarneri (1626 – 1698) learned his trade as a master violin maker from one of the greatest violin maker in the 17th century, Nicolo Amati. Antonio Stradivari was also Nicolo’s disciple then. Like Stradivari, Guarneri picked up traditional Amati violin making skills, and moved on to refine and create his own style for his Guarneri violins. However, Guarneri fall short of achieving his master’s skills and standards. But Guarneri’s violin making skills improved over the years, which led him to create some of the finest Guarneri violin ever made, that fetched millions of dollars in auctions. Other than the Guarneri violin, there are also other Guarneri instruments made, such as the viola, but only a few were made. That said, his violas were rare and popular even today. Andrea has two sons, Pietro Giovanni and Giuseppe Giovanni Battista, who both succeeded his Guarneri violin making work. Pietro Giovanni (1655 – 1720) was the elder son of Andrea. He learned his violin making skills from his father, and helped out at his family’s workshop. 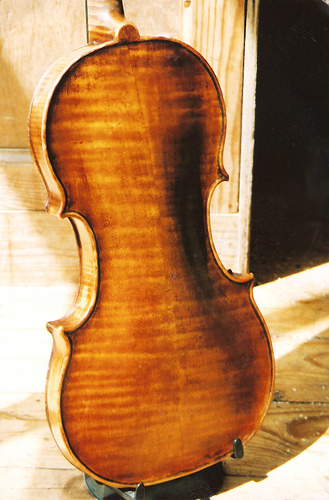 Many believed that the Guarneri violin made by Pietro is far better and distinct than that of his father’s. One of his violins was played by Joseph Szigeti, a popular Hungarian violinist. Pietro’s younger brother, Giuseppe Giovanni Battista (1666 – 1740) was another distinguished violin maker in Cremona in the 1700s. He carried on his family tradition of Guarneri violin making, and eventually took over his father’s workshop in 1968. In his violin making career, he was assisted by his two sons, Pietro and Bartolomeo Giuseppe, and also Carlo Begonzi, another famous violin maker. Pietro (1695 – 1762) left for Venice for good in 1718. Although he carried out his Guarneri violin making trade outside of Cremona, his works are still one of the best today, just like his father’s and uncle’s. A cello made by him was played by British cellist Beatrice Harrison. Bartolomeo Giuseppe Guarneri (1698 – 1744), also known as del Gesu, was widely considered the greatest Guarneri violin maker, and probably the best in history too. Most of his instruments were carved with his personal characters – I.H.S and a Roman cross. He had his own unique style of violin making, which was highly differed than that of his ancestors. Many considered his violins to be the best in his era, while some argued they were just second best to the Stradivarius. Most of the famous Guarneri violins that exists till today are made by Bartolomeo Giuseppe Guarneri, also famously known as del Gesù. An interesting note about his violin making style is that every of the Guarneri violin wlll have a ‘del Gesù’ carved on it. Many celebrated violinists all over the world have owned at least a Guarneri violin in their career. The legendary Yehudi Menuhin owned the “Lord Wilton” Guarneri violin made in 1742. Violin virtuoso of the 18th century, Nicolo Paganini’s favorite violin is the II Cannone Guarnerius, made in 1743. Modern violinists like Itzhak Perlman and Sarah Chang also owned and played the Guarneri violin too. Your Choice: A Guarneri Violin or a Stradivarius? 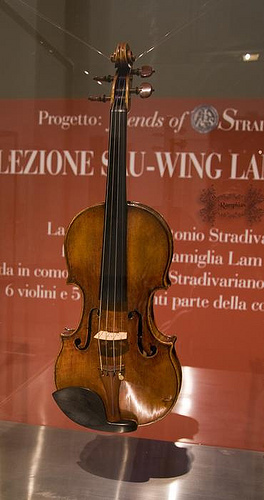 Now we knew that string instruments made by the Guarneri family are one of the best instruments made in history, with quality, tone and design and even value comparable to those of Stradivarius. However, there were many tests and experiments done to prove the difference of the two, and the superiority of one over the other. Many blind tests were conducted over the years, with violinists playing the two sets of violin – the Stradivarius and the Guarnerius del Gesù. However, results collected are often inconsistent, as testing for tonal quality and difference is, to a great extent, a subjective measure. Scientific tests are also done on the two violins to examine the amount of vibrations each set produced. The Strad did prove to produce a brighter sound than the Guarneri violin’s darker tone. Many believed that there are many reasons to justify the difference in the two violins, such as the wood quality, sound post and bridge position, varnish and even the player and the environment in which the instrument was played. Now, if you are given a choice to choose between a Guarneri violin, and a Stradivarius, of all things equal, which one will you choose? Why? Share with us at the comments below! I myself don’t have a preference and like both Strads and Guarneris equally. 1) Jacob Stainer. His best violins, particularly the rare “hourglass arched” examples, are absolutely equal to any Strad or Guarneri. Genuine Stainer violins have a thick mellow midrange in their tone while retaining perfect resonance across all 4 strings. Stainer was a heavily imitated maker, including by Antonio Stradivari and the entire Guarneri family. 2) Nicolo Amati: The teacher of Stradivari, Nicolo Amati took the flat Amatise pattern and enlarged the volume to create the “grand pattern Amati” that likely was in response to the Stainer craze of the day. The best Nicolo Amatis are absolutely as good as any Strad or Guarneri or Stainer. 3) Carlo Bergonzi I. 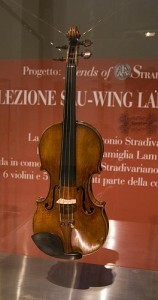 This great Cremonese maker may have bounced around the Strad and Guarneri workshops, among others. It seems that Carlo Bergonzi was trying to build the ultimate violin using the best features of the most coveted makers of his day, and with widely varying results. Thus Carlo Bergonzis can appear to be a tonal cross between brilliant Strad/Amatis, growly Guarneris, and mellow Stainers!